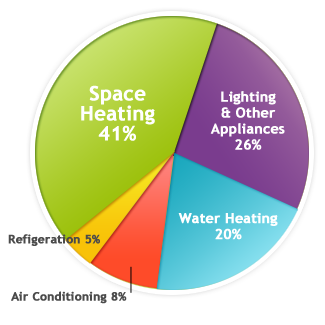 On average, over 40 percent of the energy used in a home goes towards space heating. Inefficient home heating systems cause environmental harm by wasting precious resources. Central heating is wasteful, losing up to 25% of the energy in the ductwork. SolaRay panels burn no fuel and they convert 100% of the power they consume into comfortable heat without wasting energy. 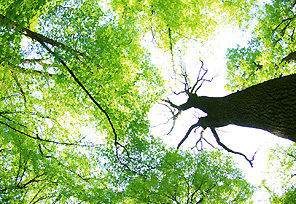 At Ducoterra, we source all our materials as locally as possible and we take great care to reduce waste in our supply chain and our manufacturing process. In fact, our total waste is less than 0.2%! Our panels are 90% recyclable and with the 40-year lifetime of our products, the impact on the environment is small compared to any other heating system making SolaRay heating panels truly a sustainable heating system. Based on an independent third-party measurement of installed SolaRay panels, using a Gegahertz Solutions NFA 1000, EMF measured 0.17mG which is in the “Ideal” range based on biological risk definitions from The Institute of Building Biology and Ecology (IBE). Download the full report!